As of Sunday, the Auburn Tigers had 16 hard commits in the Class of 2019. With Early Signing Period (Dec. 19-21) fast approaching, those figures are unofficial. However, 247Sports.com is sure that this will be the crux of the upcoming class at Auburn, which ranks No. 12 overall and No. 5 in the SEC. Given that, here is how we rank that class by position group. Skinny: Not only quantity, but the Tigers get quality at the position with three 4-star recruits, and another 3-star. The unit is led by safety Zion Puckett, a 6-foot, 200-pound prospect who played wide receiver at his high school in Georgia. In addition, Cam’Ron Kelly, a 6-1, 190-pound corner out of Virginia is also adept on both sides of the football. The Tigers also have a commitment from 4-star corner Jaylin Simpson, a 5-11, 185-pounder from Georgia, who also had offers from Alabama and Clemson. Skinny: Though the position only garnered one 4-star recruit, the Tigers also have commitments from a trio of 3-stars along the offensive line. Keiondre Jones is a 4-star guard from Georgia. At 6-4, 315 pounds, Jones is a physical presence who chose Auburn over 10 other offers from SEC schools, including Alabama. 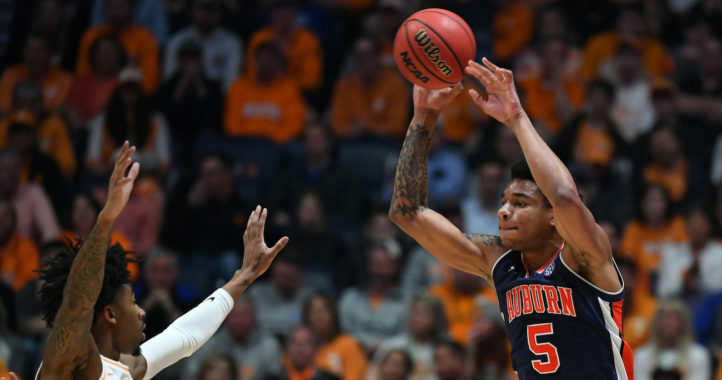 He is the only guard in the Class of 2019 at Auburn and joins 6 others on the roster at his position, all but one are sophomores or younger. Auburn is also adding a pair of 3-star tight ends and a 3-star tackle. Skinny: Another area of strength in the Class of 2019, Auburn looks to add two 4-star recruits and another 3-star to the unit. Jaren Hardy leads the way. A strong 6-5, 275-pound defensive end from Mississippi, is solid off the edge and ranks No. 8 nationally at his position. He’s one of three defensive ends that the Tigers are bringing in so far in the current recruiting class. The Tigers have 6 on the roster, all but one is a sophomore or younger. Skinny: The Tigers have commitments from a pair of 4-star receivers and another 3-star as well. George Pickens, a playmaker from Hoover, leads the group. Big and physical, Pickens is rated as the No. 3 overall recruit in Alabama and the No. 7 wide receiver nationally, according to 247Sports.com. Jashawn Sheffield, a 6-1, 178-pound athletic receiver, ranked No. 10 nationally at his position, is another commit. Skinny: There’s only one name to talk about here and that’s Owen Pappoe. The nation’s top-rated recruit at his position, Pappoe is a 6-0, 210-pound athlete ranked the No. 3 overall recruit out of Georgia. With 4.47 speed, Pappoe covers a lot of ground and piled up 112 tackles in his senior season of high school, including 14 for loss and 4 sacks. He is the only outside linebacker in Auburn’s Class of 2019 and joins a roster of 6 players at his position — 3 juniors and 3 freshmen. Skinny: As it stands now, the Tigers have just one commitment for this unit. Bo Nix is a 6-1, 207-pound dual-threat quarterback from Pinson. But he’s not just any dual-threat QB, he’s the nation’s top-rated at his position and the No. 4 overall recruit from Alabama. The Gatorade Alabama Player of the Year led Pinson Valley to the 6A state championship recently and finished his high school senior season with 3,496 passing yards and 48 touchdowns. He is the first player in Alabama High School Athletic Association history to throw for more than 12,000 yards in a career, and also set the record with 161 touchdowns accounted for (127 passing, 34 rushing). There is not a running back among the commitments. AU has always recruited well. That isn’t and has never been their issue. Hopefully we add a few more key pieces to the puzzle as well. Everyone may be doom and gloom on Auburn right now but I think we will bounce back quickly as the talent develops. 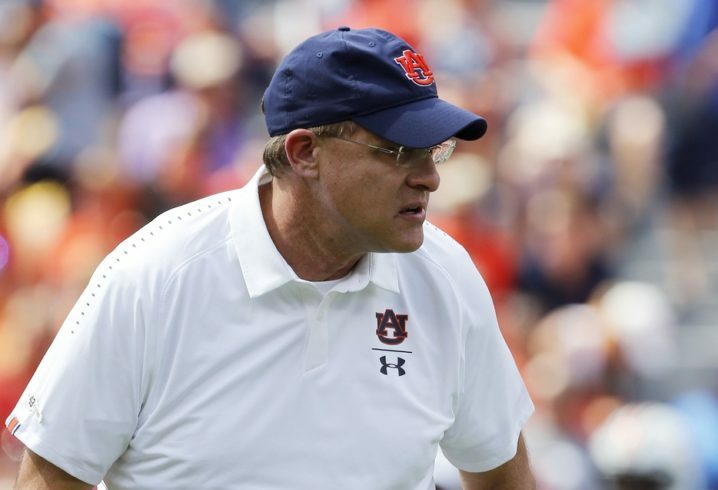 That’s why we are doom and gloom: Auburn under Gus has been tepid on player development. The only long-term improvement to the team under Malzahn has been on the defensive side of the ball, but credit goes to Muschamp and Steele. I think we looked pretty solid on Offense last year. This year a very young and inexperienced O-Line really defined our entire season. Granted that is still on Gus for not having a better developed O-Line ready to go for this year. 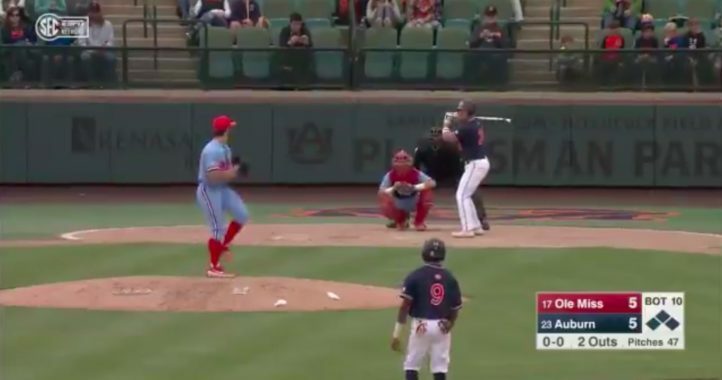 Either way, Auburn isn’t in the nose dive that so many want to believe. We can still win big games next year, and will.